Cozy, pet-friendly waterfront four bedroom cottage on Moultonboro Neck with great views from the living and dining rooms. The first bedroom has a king bed, two bedrooms offer a queen bed, and the fourth has two twins. There is also a futon in the living room for additional sleeping space for a maximum occupancy of 8 people. The interior decor is knotty pine with campy furnishings. The electrical system, water heater, well, bathroom and dock are new. 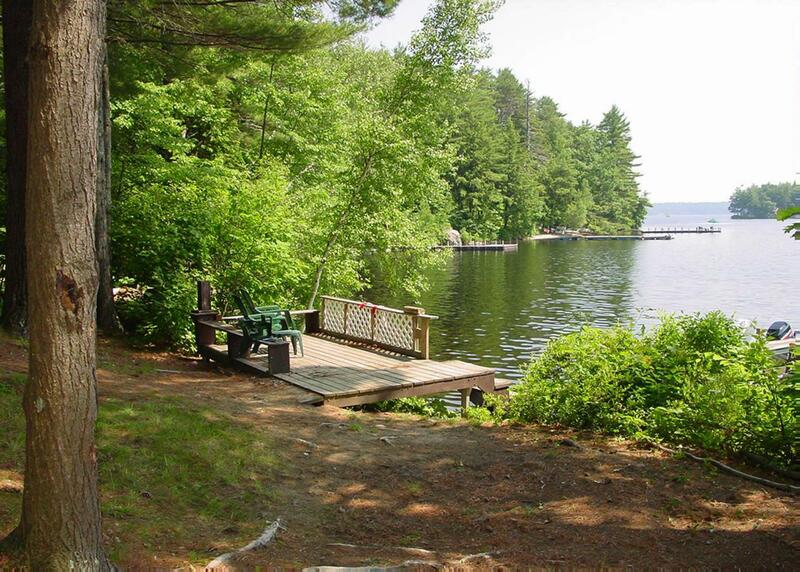 This cottage is on a quiet cove, great for boating and fishing. The deck at the water's edge and small beach are the perfect place to relax. Lake Winnipesaukee - Waterfront - 310 is rated 4.0 out of 5 by 1. Rated 4 out of 5 by Angela90 from Always a great time! This home holds many memories for our family. The location is one of the best for fishing and just relaxing on the lake.